@hostingfuze I don't want to blow your fuse, but why are you lying about the core count? The CPU mentioned DOES not have 24 cores. The Intel Xeon X5670 was released in 2010, with 6 cores + 12 threads. Even if you were to count the threads as "cores," it still isn't 24. Now you telling me Leave an internet review and continue why ? (2017-07-22, 3:52:56 pm)doghouch Wrote: @hostingfuze I don't want to blow your fuse, but why are you lying about the core count? The CPU mentioned DOES not have 24 cores. The Intel Xeon X5670 was released in 2010, with 6 cores + 12 threads. That still makes 12 real cores and 24 threads but not 24 cores nor 36 cores. The problem is within the hyperthreads. They register themselves as "cores" at the system level. All OSs and a huge part of software see them and use them as cores while they are just additional slower (as in slower than real cores) helper threads that are dedicated per real core. Some benchmarking software actually detects the core thread count right and would says "2 CPUS, 12 Cores and 24 Threads". @hostingfuze Still no reply of my query if you are not interest solve my issue then i am not interested to use your service. @Hidden Refuge That's what I'm frustrated about. Companies should not lie about the resources they have. The specifications for the processor clearly state 6 cores, so in a dual CPU configuration, that'd add up to 12. Threads are simply there to help pass more instructions/work to the CPU, not process it. Hostingfuze is a small hosting company, which offers us the opportunity to have a small VPS for our projects. The good thing about this VPS, is that you can work quietly with it despite having limited connection. 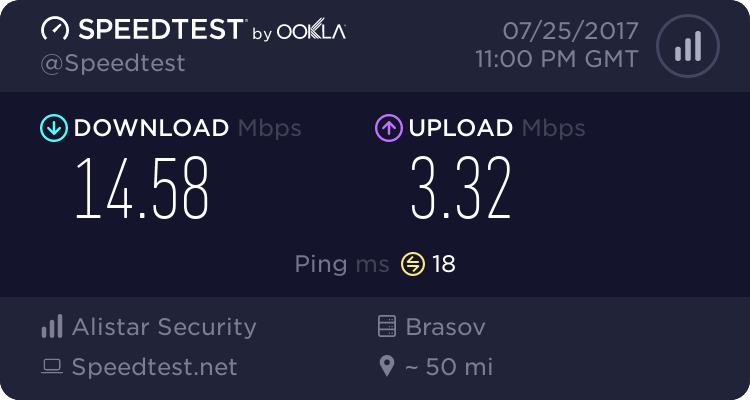 The bad thing is the internet connection, which is relatively small. Connecting to d3vm.net (d3vm.net)|162.250.233.165|:80... connected. 2017-07-25 22:55:54 ERROR 404: Not Found. (2017-07-26, 9:02:57 am)perioner Wrote: Hostingfuze is a small hosting company, which offers us the opportunity to have a small VPS for our projects. I mean it is free just that they shouldn't be advertising that the fact that there's a 1gbps link when it is on a 1gbps link but we're restricted to 16mbps of it. I also noticed UDP is blocked for some reason..
Do you want more ? Buy, get up to 10 Gbps and protect ddos by voxility! Is a free service, so it's limited! (2017-07-27, 5:43:58 am)hostingfuze Wrote: Do you want more ? Buy, get up to 10 Gbps and protect ddos by voxility! I mean yes it's a free service so I don't mind the limits, but don't say that there's a 1gbps connection when you provide 16mbps for the user..
Why is UDP blocked anyway? Current time: 2019-04-20, 9:20:06 pm Powered By MyBB, © 2002-2019 MyBB Group.